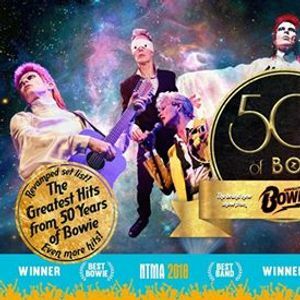 Absolute Bowie Band are proud to present a brand new stage show “50 Years of Bowie”; a musical journey through the iconic singer's ever changing personas. 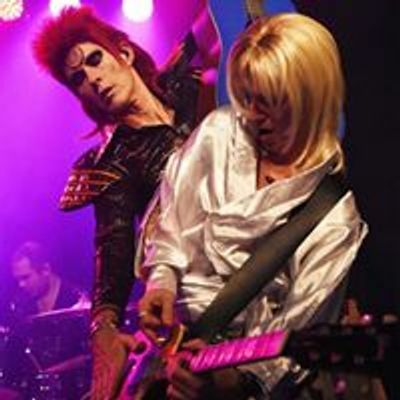 Without doubt the best and by far the most popular David Bowie tribute in Europe and now in their 12th year. 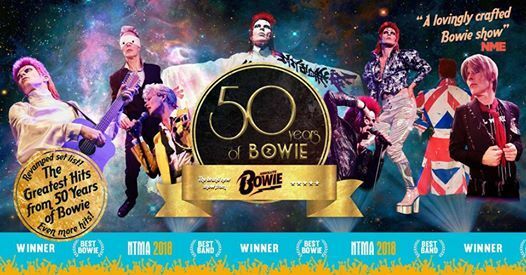 David Bowie’s evolving image has mesmerised fans since the early 70’s and for the first time ever Absolute Bowie will take audiences on a trip that presents all his best-loved personas in all their glory. This brand new and unique concert features two sets and more costume changes than any other show. A true extravaganza of the wonder that is Bowie’s work.